Conservation of mass and energy are both fundamental principles that apply in HVAC systems. 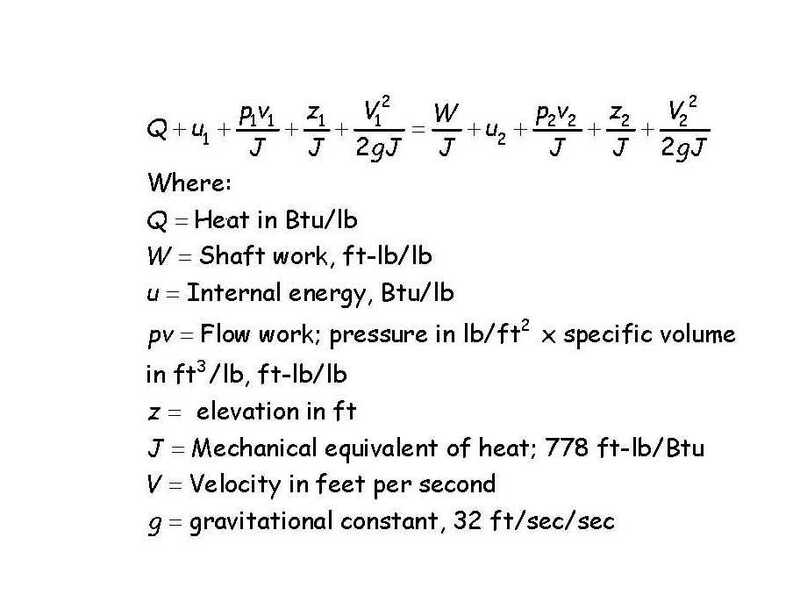 By starting with the steady flow energy equation and making some simplifying assumptions and substitutions, you can derive a number of useful relationships that will allow you to calculate things for a mixed air plenum, like the outdoor air percentage based on the outdoor air, return air, and mixed air temperature or the outdoor temperature that will created a specific mixed air temperature given a known outdoor air percentage and a known return air temperature. The tool can be handy for a number of reasons. For example, say you are scoping a facility and notice that the preheat coil is active on a mild day. If you know what the minimum outdoor air percentage and design mixed air temperature are (things you can typically find in the design documents or control system settings) and have a sense of what the return temperature is (usually somewhere in the upper 60's to lower 70's°F and something you can measure in the field), then you can predict how cold it would need to be outside before the system, when it was on minimum outdoor air, would require preheat to maintain the desired mixed air temperature set point, assuming ideal mixing is occurring. I (and the folks I work with) frequently perform this assessment and often find opportunities in the form of control system set point calibration or coordination issues, poor mixing conditions, improper minimum outdoor air settings, or leaking preheat valves. The results of that calculation can be quite surprising if you have never done it before. For instance, if you were looking at a system that targeted 20% minimum outdoor air, has a design mixed air temperature set point of 53°F, and has return air coming back at 72°F, then it would have to be 23°F below zero before you should need preheat, at least in theory. So, if you are looking at the system I just described on a pleasant spring day and it is using preheat, something is not right. While the tool was developed for use with mixed air plenums, the physics of it will apply to any point in an HVAC system where mixing is occurring, like a tee in a piping system where flows come together. Thus, it can be used to assess those types of situations as long as you keep the units consistent. If you are interested in how the relationships were derived, you can see the derivation in a post on the blog titled Economizers–The Physics of a Mixed Air Plenum. ​Note that when you download the spreadsheet, you will need to strip out the descriptive name and parenthesis around the file name to get it to run properly on some systems. For instance, for this file, you would need to eliminate the parenthesis and the words Mixed Air Calculations Spreadsheet from the file name. You can also change the file name to something that works better for you if you want as long as you keep the .xlsx file extension.